Massimo Cellino at Elland Road. Leeds United owner Massimo Cellino has lost his appeal against the Football League’s decision to disqualify him from ownership of the club under owners and directors’ test. Cellino will now be given two days to leave Elland Road and will not be allowed back until April 10 when the tax evasion conviction that led to his ban will be regarded as spent. A statement from the Football League read: “Professional Conduct Committee (PCC) chaired by Tim Kerr QC has rejected an appeal by Leeds United President Massimo Cellino against the recent decision by the Board of The Football League that he is subject to a disqualifying condition under its Owners’ and Directors’ Test. “The PCC found that the reasoned judgment of the Italian Court, once it had become available, was for an act involving dishonesty as determined by the Board in its original ruling in March 2014. 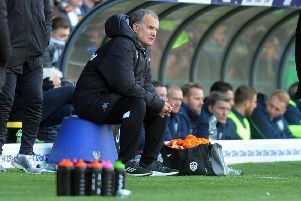 “Mr Cellino’s appeal against that original decision had been upheld on the basis that it could not be concluded that the offence necessarily involved a ‘Dishonest Act’ for the purposes of the Test. In its judgment, dismissing Cellino’s appeal against the decision, the PCC said: “We consider that the judge’s findings of fact and her description of Mr Cellino’s state of mind based on them, is of conduct which would reasonably be considered to be dishonest. “We therefore conclude that Mr Cellino has been convicted of an offence involving a ‘Dishonest Act’ within the meaning of the rules, and that he is accordingly subject to a ‘Disqualifying Condition’.